It’s that time of year again, and Christmas is right around the corner. I’ve been busy making stockings for my grand kids. You might remember the Snowflake and Christmas Tree stockings that I made for them last year. Never one to leave well enough alone, I decided to make new stockings for them again this year. So here’s my newest Christmas Stocking Tutorial. Who knows, maybe this will become an annual event! Be sure to check out our popular Sewing Tutorials page for over 50 step-by-step sewing tutorials – many include detailed videos! This year I wanted the stockings to be simpler than last year’s. The fabrics are metallic fabrics, which, unfortunately, doesn’t show up very well in the pictures. I knew I wanted to use the initials again, and wanted to make them just slightly different from each other. I made a knife-pleat ruffle for my granddaughter’s and a simple banding for my grandson’s. These instructions and materials are to make one stocking. Step 1: Cut out front and back sides of stocking out of fabric #1. Making sure that they are cut in mirror images. I used my stocking pattern from last year’s Snowflake stocking. Step 2: Cut 2 stockings out of fabric #2 for lining. Again, making sure to reverse one of the stockings so that they are mirror images. 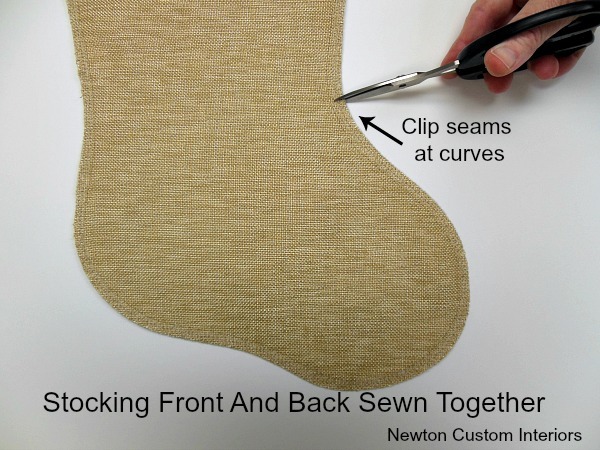 Step 3: Sew the front and back sides of the outside of stocking pieces – right sides together. Don’t sew the top edges of the stocking together. Clip at curves. Step 4: Turn stocking right side out and press. 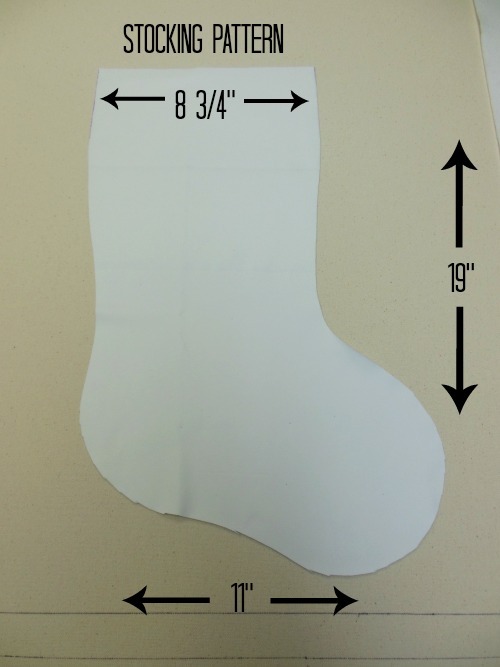 Step 5: Follow steps 3 and 4 with the lining of the stocking. (fabric #2) Don’t turn the lining stocking right side out. Step 6: Serge the top edges of the outside and the inside of the stocking. 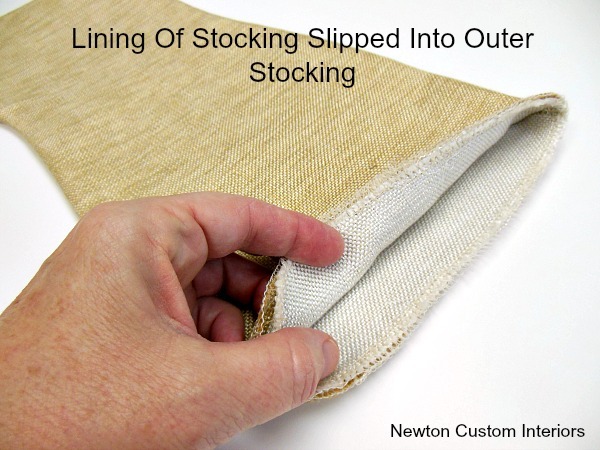 Insert the lining into the outside of the stocking. Wrong sides will be together. Step 7: Cut out 4 pieces for the cuff of the stocking out of fabric #2. Cut width at slightly larger than top of stocking cut – 9″. Cut length at 4″. 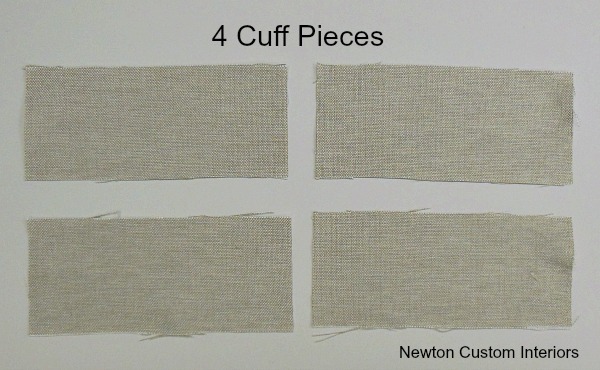 Step 8: Sew side seams of two cuff pieces, and then sew side seams of other two cuff pieces. Step 9: Make cording out of fabric #1. 25″ or so. 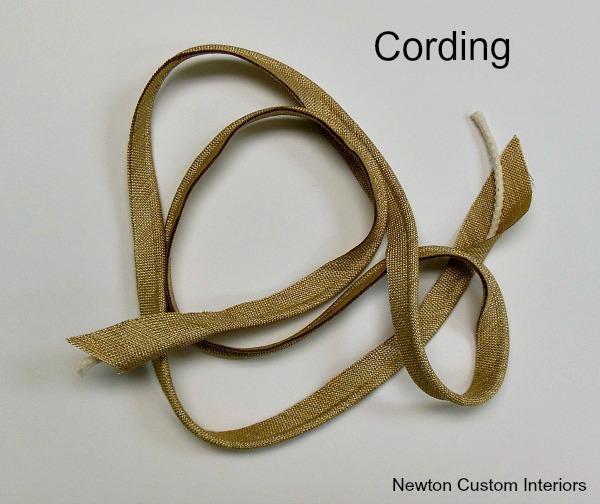 I’ve written a blog post about how to make cording, if you’re not sure how to make it. 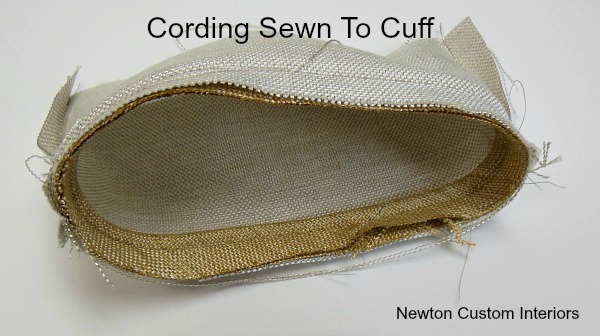 Step 10: Sew cording to one edge of right side the cuff, and join the ends. I show how to do this in my how to make a pillow with cording post. Step 11: Cut banding fabric out of fabric #3 at 3″‘ by 30″. 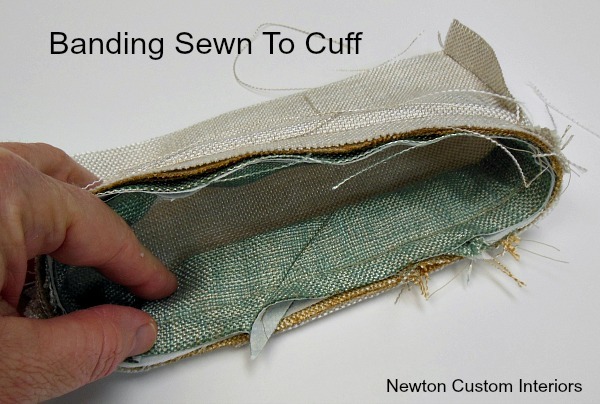 Fold in half lengthwise and sew to right side of cuff on top of the cording. Join the ends of the banding the same as for cording. 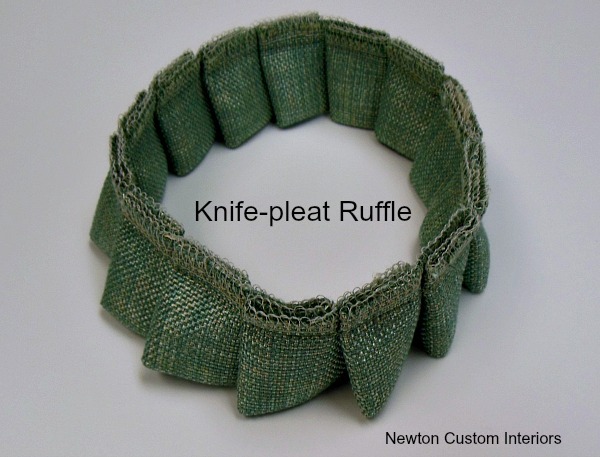 *If you want to make a ruffle instead of the banding, make a knife-pleat ruffle the same circumference as the cuff. Sew ruffle to right side of the cuff on top of cording. There are instructions for how to do this in my how to make a knife-pleat ruffle and how to make a pillow with a knife-pleat ruffle posts. 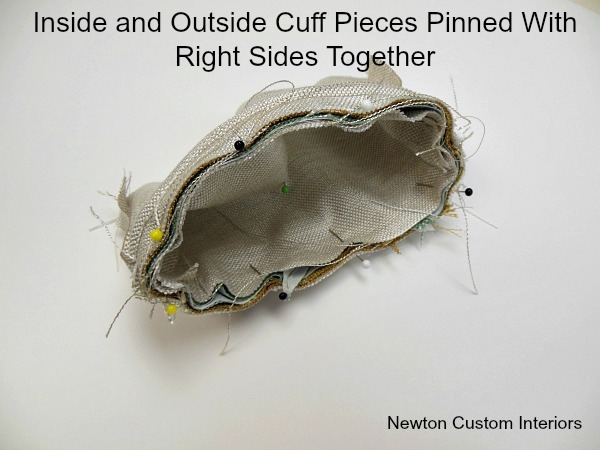 Step 12: Pin and sew the inside and outside cuff pieces right sides together along the edge with the cording and banding. 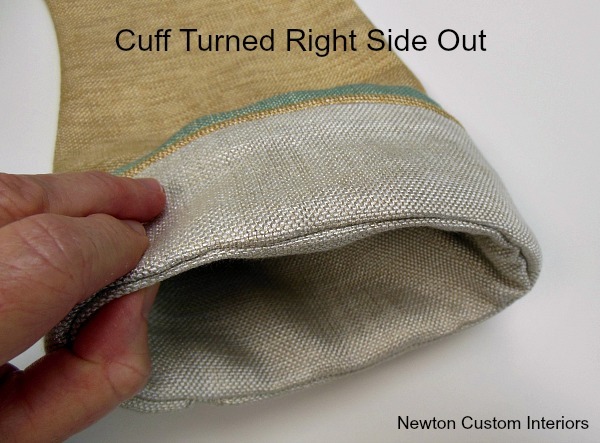 Step 13: Turn cuff right side out. Serge top edges together. 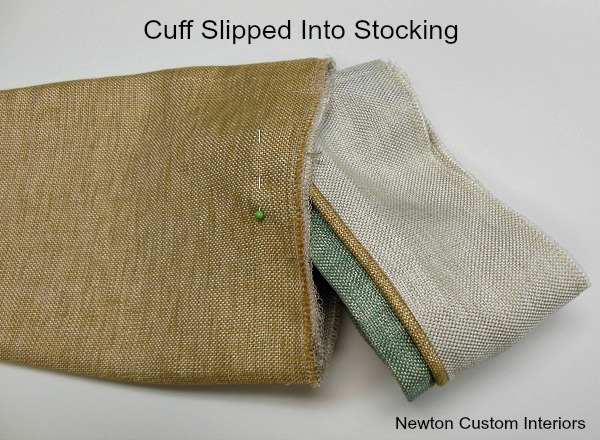 Step 14: Slip cuff into stocking – right side of cuff to lining side of stocking, pin and sew cuff and stocking together. Step 15: Turn cuff to outside of stocking and press top edge. 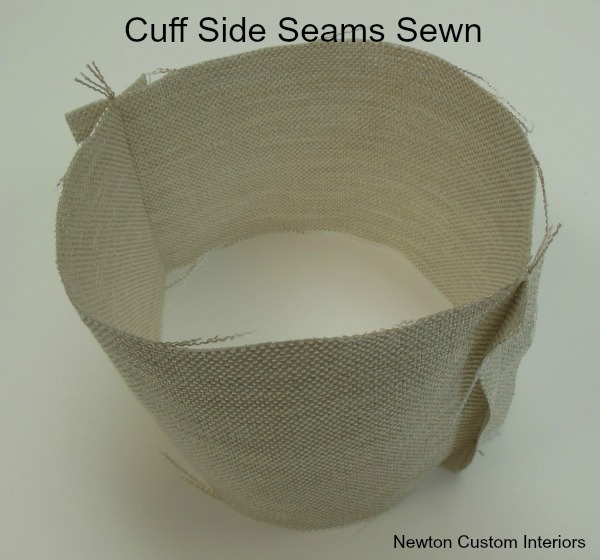 Step 16: Cut a strip of fabric for loop at 2 1/2″ by 6″. Fold and press in half lengthwise and fold each of those halves in half again and press. Top stitch along long open side. 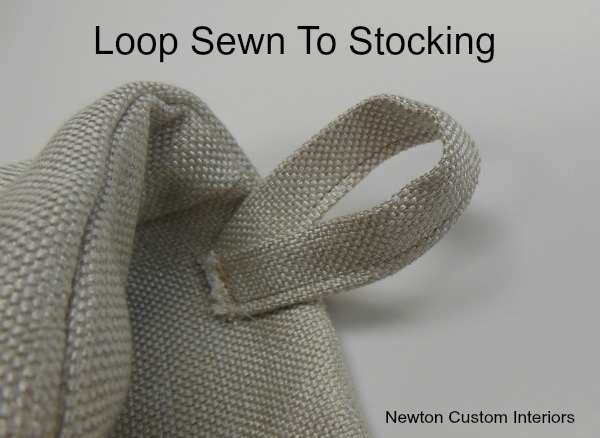 Sew onto top of the inside back of the stocking, making a loop. 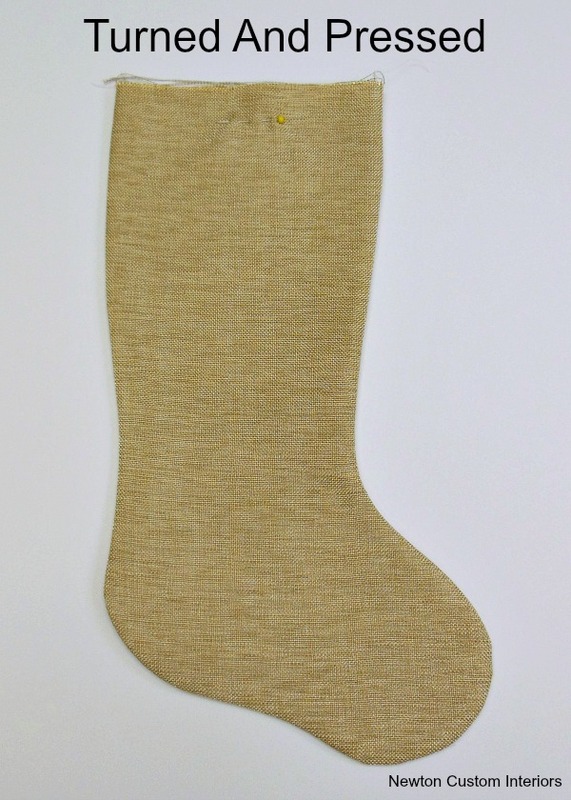 Step 17: Make a fabric covered button and sew it to the front of the stocking. 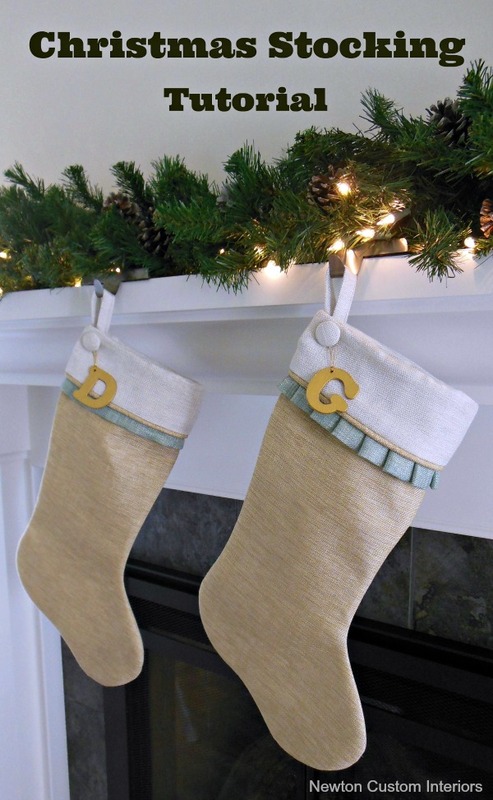 Attach wooden initial (painted to match stocking) with gold cording. I hope you’ve enjoyed this Christmas stocking tutorial. 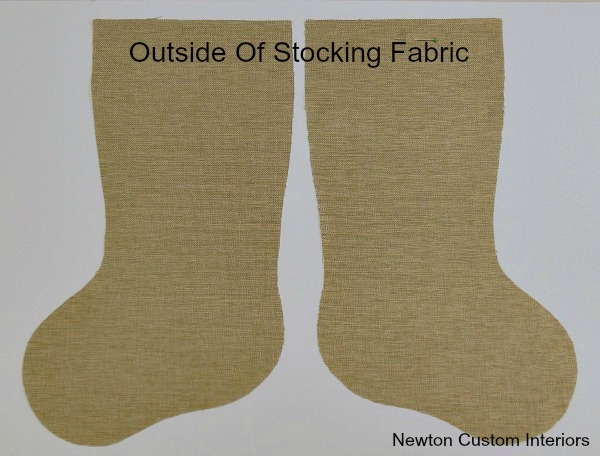 Have you made stockings for Christmas? I would love to see your projects! What a wonderful and comprehensive tutorial. I am just getting started making a Christmas stocking for my very first Grandbaby who will arrive any day. THis will be such a help! Thanks Mary! How exciting for you to become a grandparent soon! It’s the best! These are so pretty Jann! 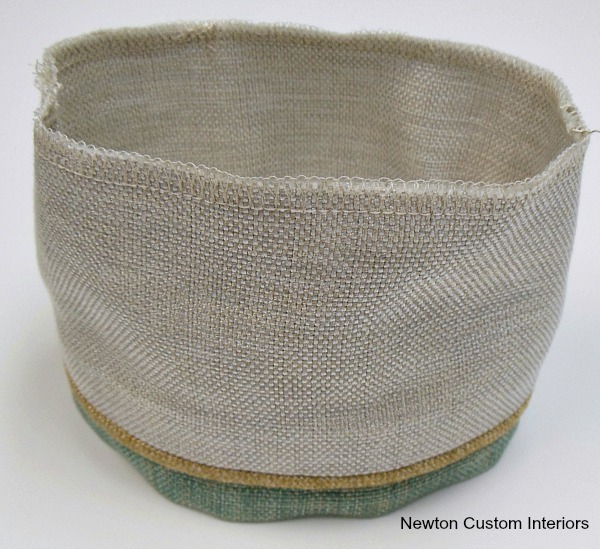 Love burlap! Would love to invite you to share with us at our link up party on Thursdays please 🙂 Hope you have a great week and Happy Thanksgiving! Well if these aren’t just the cutest things I’ve ever seen! How adorable! Thanks Lynn! I’m happy with them, and more importantly the grandkids are too. At least the 4 year old is! They are beautiful, I know if I tried to make them they wouldn’t look this great! I just wish I could! Sharon, thanks! Give them a try! I love these Jann! And I love the fabric you used. So simple, yet so elegant. Thanks Lani! The fabric is nicer in person. The metallics didn’t show up well in the pictures. Wow! These are amazing. 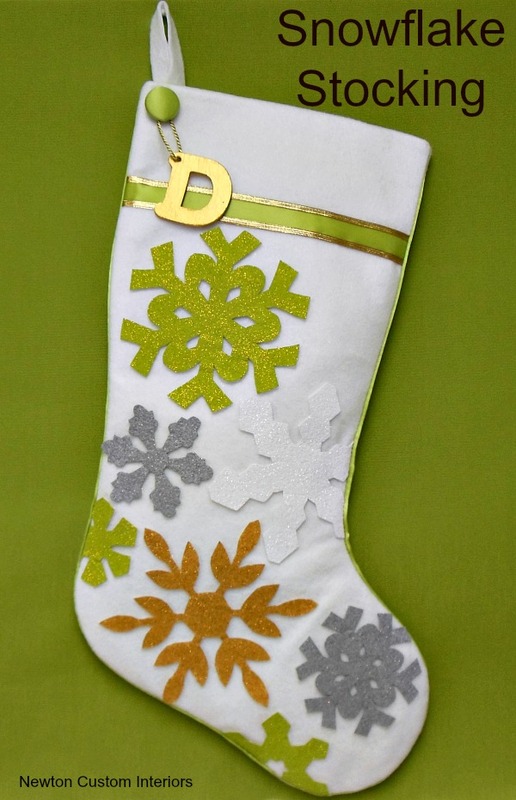 I am going to make new stockings this year and I really wanted to hang a letter on them somehow. This is perfect and the pleating adds such a wonderful detail. I am pinning so I have the tutorial ready when I make mine. Thanks! Thanks Michelle! I’m glad the tutorial was helpful! Good luck with your stocking project. Love the diy! Pinning for later. Thanks Theresa! Glad you enjoyed the tutorial. Great job!! I need to redo our stockings as we have a baby in the family now!! Thanks for linking up again with us this week… Hope you’ll join us again this week! Lovely stockings – love the little pop of green! Great tutorial, thank you for taking the time to show and explain how to make these! Thanks Kristina and Millie! I’m glad you enjoyed the tutorial. Love these! 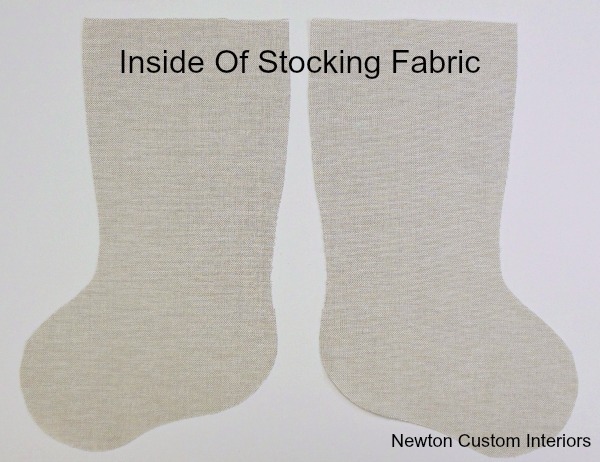 Since I can’t draw worth bean, I will have to go get a stocking pattern and give these a try! Thanks for sharing! Thanks Laura! 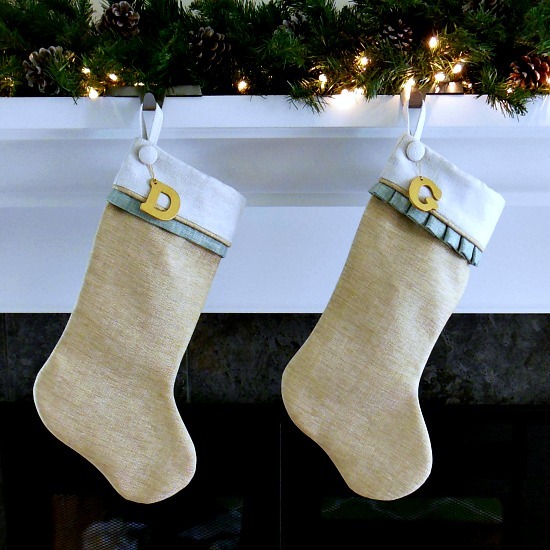 If you google christmas stocking pattern, or look on Pinterest, I think you’ll find lots of downloadable stocking patterns. These are beautiful, Jann. I love the detail, and the button with initial is adorable. Thanks Kim! I always love button details! These stockings are beautiful! I wish I had 1. a sewing machine to attempt this and 2. the ability to make this! LOL! Love! Awww! Thanks Carol! You’ve made my day! What is the fabric called?? Mel, I’m not sure what the fabric is called. It is not a burlap. I ordered it from a fabric company that I use frequently for client’s fabrics.